Raise your glass to Sub-Zero’s better wine preservation. Sub Zero 457mm Integrated Wine Storage unit is far more than just a wine chiller, employing a suite of technologies to protect wine from its four enemies: light, heat, humidity and vibration. Like wine with a fine meal, Sub-Zero wine storage complements your decor; thoughtful design makes these products a pleasure to own and use. 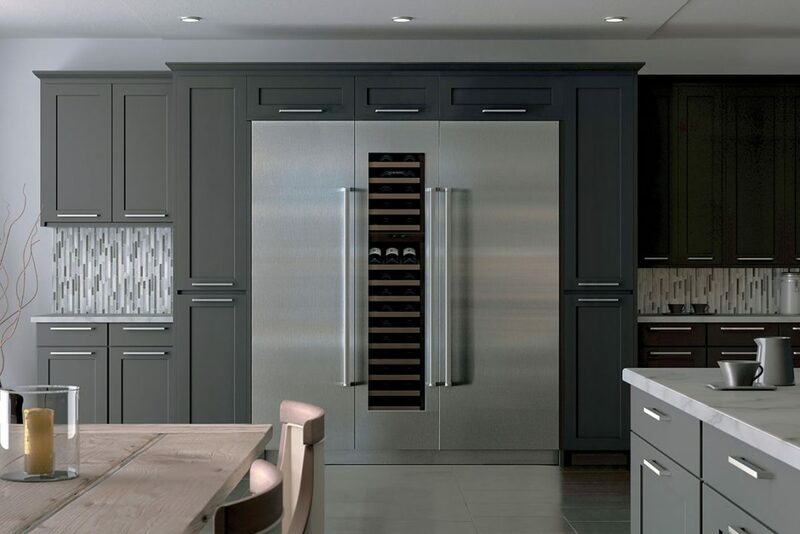 Sub-Zero’s wine storage cabinet employs two independent storage and temperature zones, each sealed and digitally controlled, allowing you to simultaneously maintain perfect cellar and serving conditions in the same unit. Sub-Zero’s Microprocessor control maintains even temperatures to within one degree of your presets. The ultra-violet glass panel filters out the harmful rays that can cause premature ageing. The quiet compressor lets wines rest undisturbed, without the vibration that can harm delicate wines. Shelves glide out smoothly, providing access without agitation. The result? Perfect conditions and perfect wine. The Sub-Zero 457mm wide integrated wine storage unit ICBIW-18, has no visible hinges or grilles and is designed to sit flush with adjacent cabinetry. You can choose from classic stainless steel panels with either tubular or pro handles or opt for custom cabinetry to blend seamlessly with your choice of furniture. The appliance can store up to 59 bottles.